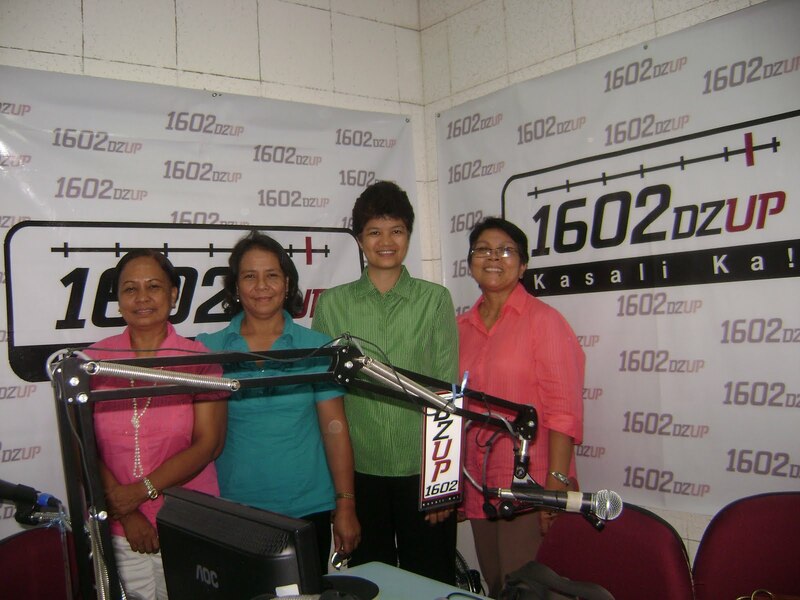 LibRAdio : Librarians sa Radyo, a program of DZUP 1602, Kasali ka, Radio station of UP Diliman invited UPLB Librarians who are all ALAP members and officers to serve as Resource Speakers for 2 episodes (May 11 and May 18, 2011). The program runs for one hour from 12:00 noon to 1:00 PM every Wednesday. 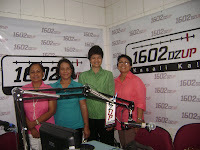 Its maiden program was on September 8, 2010 with Ms. Salvacion C. Arlante was the resource person. For the May 11 episode, the resource speakers were Ms. Concepcion DL. Saul, University Librarian, (ALAP Ex-Officio), Ms. Editha Mallion, Special Collections Librarian (ALAP Secretary) and Virginia Alcantara (ALAP Member). They discussed the UPLB Main Library: from history to services and future plans and projects. Ms. Saul also discussed the Philippine Agricultural Information Services Network (PhilAgriNet) during the program. She introduced the Network, its mission, vision, database and the roles of the UPLB Library as well as the other members of the Network. For the May 18, 2011 episode, the subject was UPLB Unit Libraries (Part I). The resource speakers were Ms. Concepcion DL Saul, representing the BIOTECH Library, Ms. Andriette S. Valdez for the College of Forestry and Natural Resources Library (CFNR), Ms. Adelina M. Esperante for the College of Veterinary Medicine and Animal Science Cluster Library and Ms. Imelda B. Veluz representing the PHTRC Library. Misses Valdez and Veluz are the current President and Auditor of ALAP, respectively, while Ms. Esperante is a member of the Association. Discussions revolved around the brief background of each libraries, its uniqueness compared to other UPLB unit libraries, collection, services offered, plans and projects.